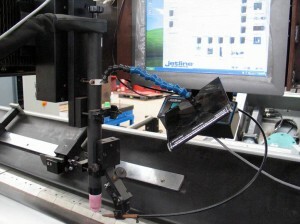 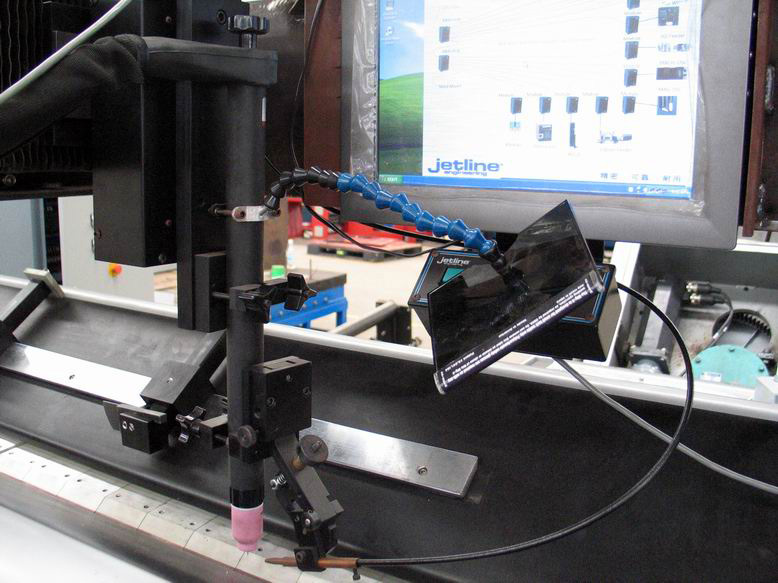 The longitudinal seam welder is commonly used to weld thin gauge tubes, cylinders, cones, flat sheets and open ended boxes with wall thickness from 0.5 mm when seam quality is critical. 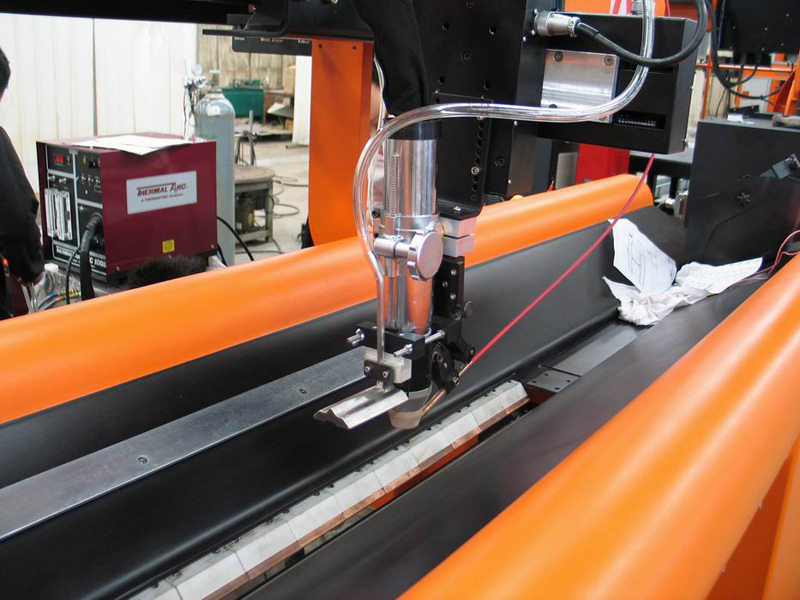 LSW Series Longitudinal Seam welders – designed for straight line welding applications that demand 100% penetration and minimal distortion. 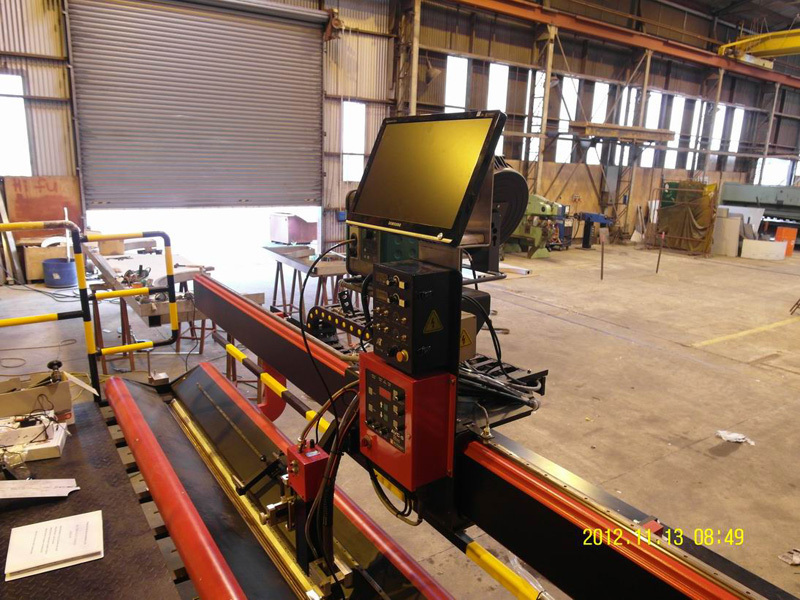 Our standard models handle 0.1 – 10 mm wall thickness and up to 3000 mm weld length; the seam welder can be used to weld tubes, cylinders, cones, flat sheets and open-ended boxes. 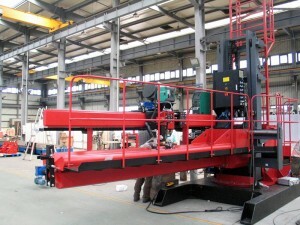 Servo AC drives carriage speed range 30 – 1500 mm/min. We specialize in custom built to order automatic tank welding machines for LNG & flat bottom tanks. 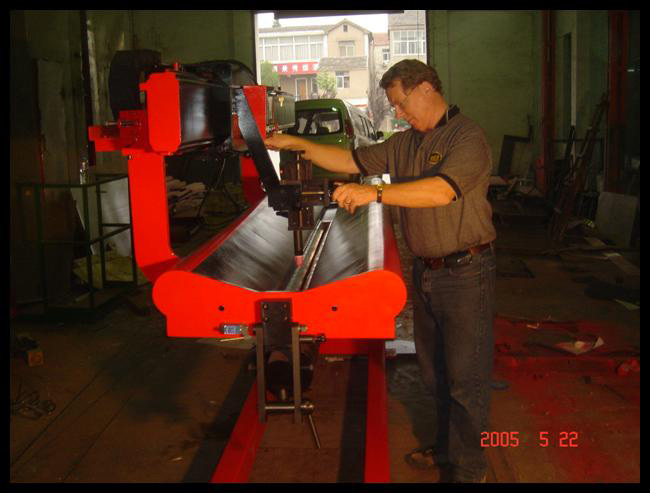 We have over 10 standard Automatic Girth Welders (AGW) A.K.A. (3:00, 3 O’clock Welder) designs. EGW, VUP & AVW Automatic Vert Welders, Vert Buggy, Tank Jacking systems, automatic Sphere, Pipe, Shop, & Shipyard welders. 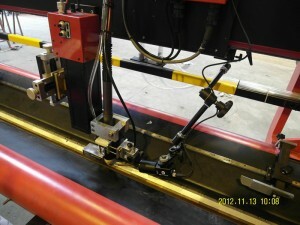 This line of equipment is built with your choice of USA made Lincoln or Miller welding systems. 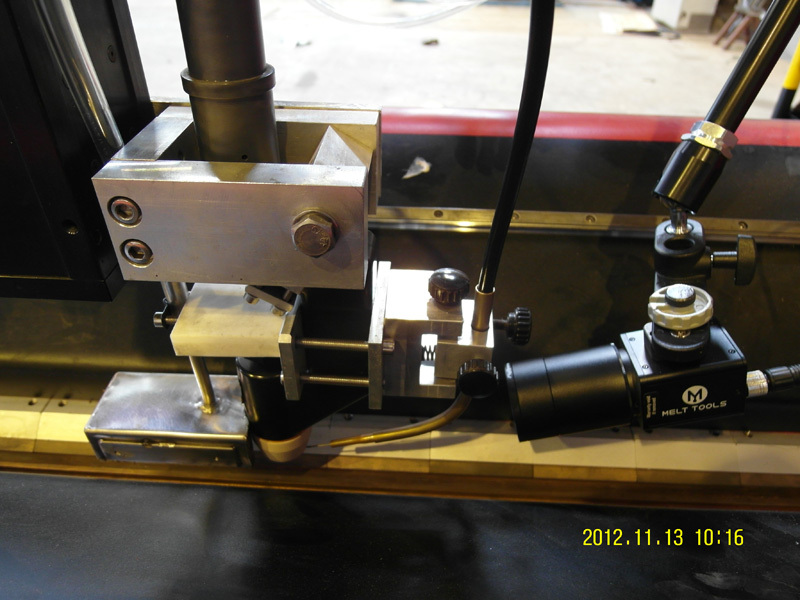 Our AGW travel is powered by top of the line twin German engineered inverter controlled SEW drive motors. 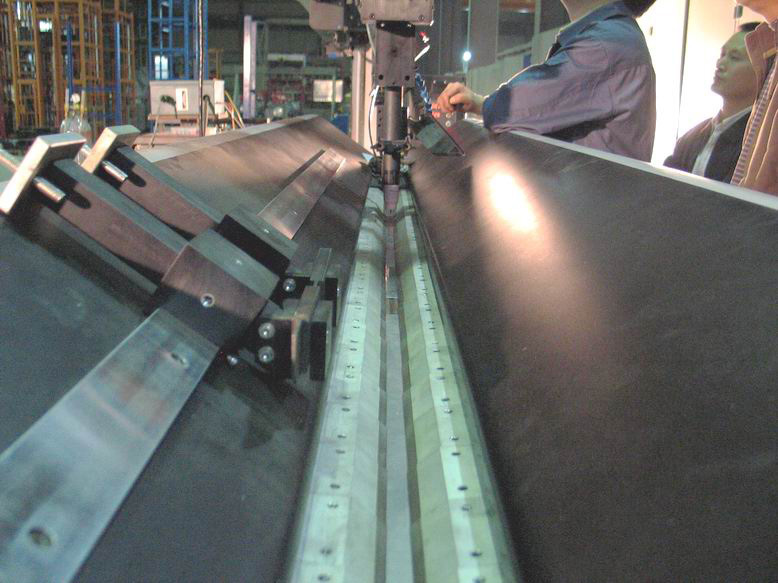 In the global market place we offer standard designs and custom built welding, cutting, erection equipment for the Tank, Pressure Vessel construction & welding industry. 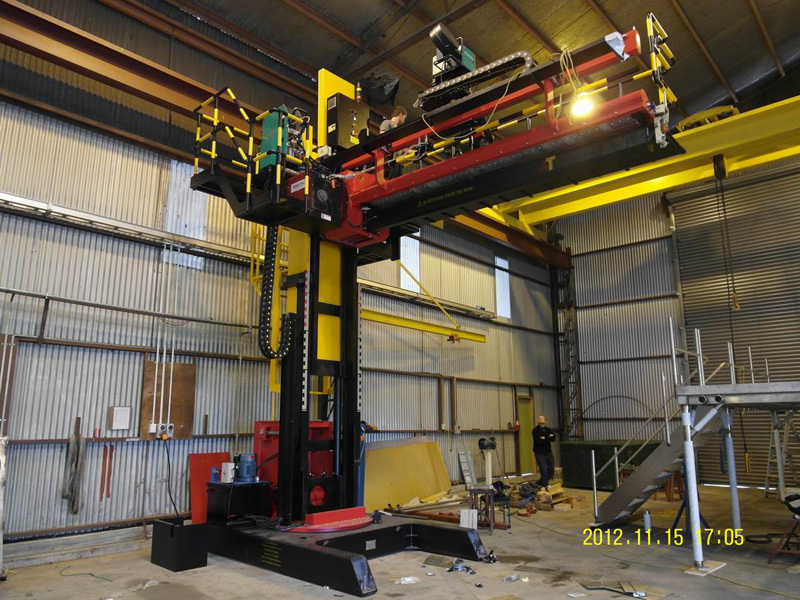 We also offer multiple types of automatic Pipe welders, Ship Yard, Fab Shop automatic welding & cutting equipment. Our line of equipment includes items such as the (AWP) Automatic Pipe Welder, Custom Engineering, Column & Boom Manipulator, Header Welder, L Positioner, Longitudinal seam welder, Pro-Cut automatic cutting equipment, Ship Yard (EGW) Electrogas Welder, Turning roll, Welding Lathe, AGW flux belt, Automatic Grinder, Automatic Vert Buggy, Manual Vert Buggy, Tank Jacking (Tank Jack-UP) systems, Automatic girth seam gouger, AGW and AVW (MPS) Mobile Power Source, LT7 magnet attachment device, LT7 seam tracking attachment, Automatic Girth Welder (AGW), AGW-LNG, AGW-USA, AGW-LW Light Weight Automatic Girth Welder AGW-1, AGW-11, AGW-P, AGW-P2, AGW-stiffener welder, AGW-Mini, AGW-Sphere welder, AGW-Mig, AGW-Jack-UP, witch are also know as a (3:00, 3 O’clock welder), EGW-V, EGW-P, EGW-Jack-UP, EGW=Electro Gas Welder witch is also know as a Vertical Up Welder (VUP), is a single pass Vertical-Up welder (VUP), AVW-multi pass, AVW-Jack-UP, AVW automatic vertical welder, manual and electric powered Shell Buggy (also know a Vert Buggy), Tank Jack-up systems and a lot of various Tank Welding & erection equipment to fit most companies needs. Explore all of our merchandise and contact us by phone or email.